Nothing says cheap and affordable quite like the thrift store. Thrift stores are great resources because they allow you to satisfy your need for retail therapy without draining your bank account. 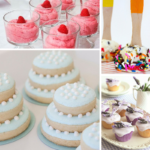 We have brought you our favorite thrift store recipes and projects, as well as our fall favorites. 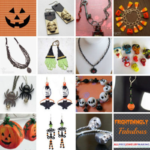 Fall means cozying up under a warm blanket and devoting plenty of time to crafting and cooking. We hope these thrifty projects and recipes inspire you to fill your house with plenty of affordable autumn spirit! Possibly the best part of autumn is accessorizing with lovely scarves that also keep you warm. 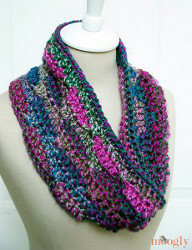 This beautiful Single Skein Grapevine Cowl will keep you warm on even the chilliest day. You’ll love that you only need one skein of yarn to make this timeless cowl. 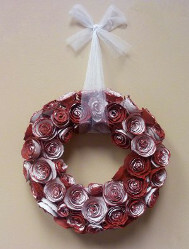 Everything’s coming up roses when you make beautiful and rosy crafts like this Rose E’er Blooming Wreath. You make this wreath to celebrate wintertime and the holiday season, or pull it out around Valentine’s Day. This rose wreath is simple enough that you could even keep it out as a decoration all year long. 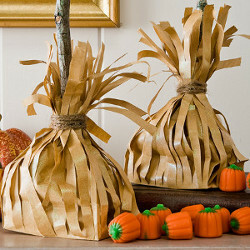 These Broom Treat Bags are the perfect place to stash your Halloween candy! Use the bags to store your candy all season long, or use them to keep the kids from eating all the candy at once. These bags are so cute and decorative that you won’t mind having them around your house. Everyone needs at least one trusty hat to have on hand at all times in case the autumn winds kick up. 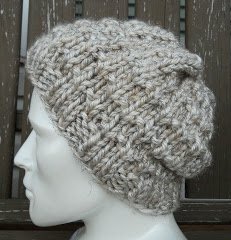 This Classic Autumn Hat will keep your head and ears warm, and it is extremely simple and quick to knit up. If you are always on the lookout for man-pleasing recipes, then you must give this Happy Hubby Ground Beef Casserole a try. 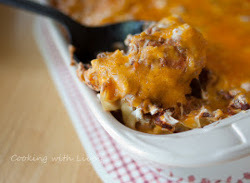 This quick and easy ground beef casserole is guaranteed to satisfy even the hungriest husband and you and your kids will love it as well. Autumn is the perfect time to make as many pumpkin desserts possible, and this recipe for Unbelievable Frosted Pumpkin Bars should definitely be part of your lineup. 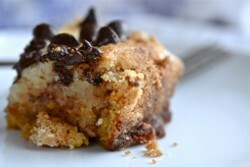 Sweet pumpkin puree and cinnamon flavor the base of these bars that get topped with a tangy cream cheese frosting. If you think the title of this recipe is attention-catching, wait until you taste the cake itself. 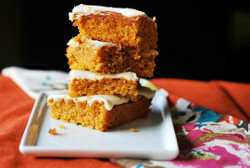 Pumpkin Crack Cake is ridiculously delicious and addictive. You won’t be able to stop after just one piece! Bread pudding is a comfort classic, and you won’t be able to resist this warm and sweet Amish-Style Cinnamon Chip Bread Pudding. 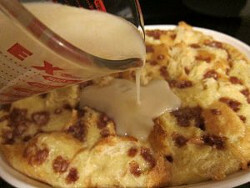 The freshly baked bread pudding is drizzled with a warm vanilla milk topping that takes this dessert even more delicious. Decadent Cream Cheese Banana Bread is just what the name promises: decadent! This banana bread recipe has everything you’d expect from a regular banana bread, but wait for the game changer: a thick strip of cream cheese through the middle of the loaf. What is your favorite fall project or recipe?